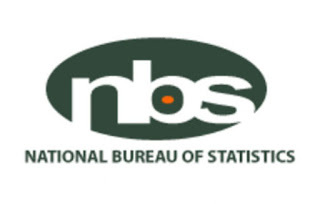 A new report by National Bureau of Statistics, (NBS), has said that neonatal mortality constitutes more than half of under-five deaths (50 per cent) in South Western States in Nigeria. Neonatal is the probability of a child dying within 28 days after birth. But, the report which was made available to Daily Independent by NBS with support from the United Nations Children’s Fund (UNICEF), showed that neonatal mortality rate in Osun, Ekiti and Oyo states are higher than the national average. The report which is contained in the Multiple Indicators Cluster Survey (MICS), revealed that in Nigeria, the probability of a child dying within 28 days is 39 per cent, within one year is 31 per cent and within five years is 50 per cent, meanwhile in South-West Nigeria, the probability of a child dying within 28 days is 36 per cent, within one year is 16 per cent and within five years is 15 percent. The MICS also stated that child mortality, which is the probability of a child dying between the first and the fifth birthday is higher in Ondo and Osun states with 30/1,000 live births and 23/1,000 live births respectively. In Osun State for instance, the report stated that the probability of a child dying within 28 days is 56 per cent, within one year is 22 percent and within five years is 23 percent. In Ekiti state, the probability of a child dying within 28 days is 46 per cent, within one year is 23 percent and within five years is 17 per cent. In Oyo state, the probability of a child dying within 28 days is 42 per cent, within one year is 17 per cent and within five years is 14 per cent. In Ondo state, the probability of a child dying within 28 days is 30 per cent, within one year is seven percent and within five years is 30 percent. In Ogun state, the probability of a child dying within 28 days is 28 per cent, within one year is 20 percent and within five years is 18 percent while in Lagos state, the probability of a child dying within 28 days is 29 per cent, within one year is 17 percent and within five years is five percent. The 2018 Measles vaccination campaign for children between age nine months and five years started in Lagos State from Thursday 15th and is to end on Thursday 29th March, 2018. According to the State Government and it is geared towards saving the lives of children under the age of five. Dr. Olufemi Onanuga, the Special Adviser to the Governor on Primary Health Care told Daily Independent, that the state is prepared for the campaign noting that 3,609,538 children are being targeted during the vaccination campaign. The Special Adviser revealed that over 4,526 house-to-house mobilizers have been mandated to encourage eligible children that falls within the operational target population to visit the immunisation posts for measles vaccine and the other antigens adding that 4,526 fixed and temporary fixed posts will be set up for the campaign. While appealing to parent and caregiver to ensure that all the children between nine months and five years are taken to the health posts for the measles vaccination, Onanuga stated the vaccination service is free, the vaccine is safe and effective, and is to be administered to the children irrespective of their previous immunisation status.